Fr. John Norder entered eternal life on Wednesday, October 24, at St. Mary’s Hospital in Madison, WI. Fr. John has been a good friend to the St. Thomas Aquinas Parish community ever since he started helping out here after his 2010 retirement. 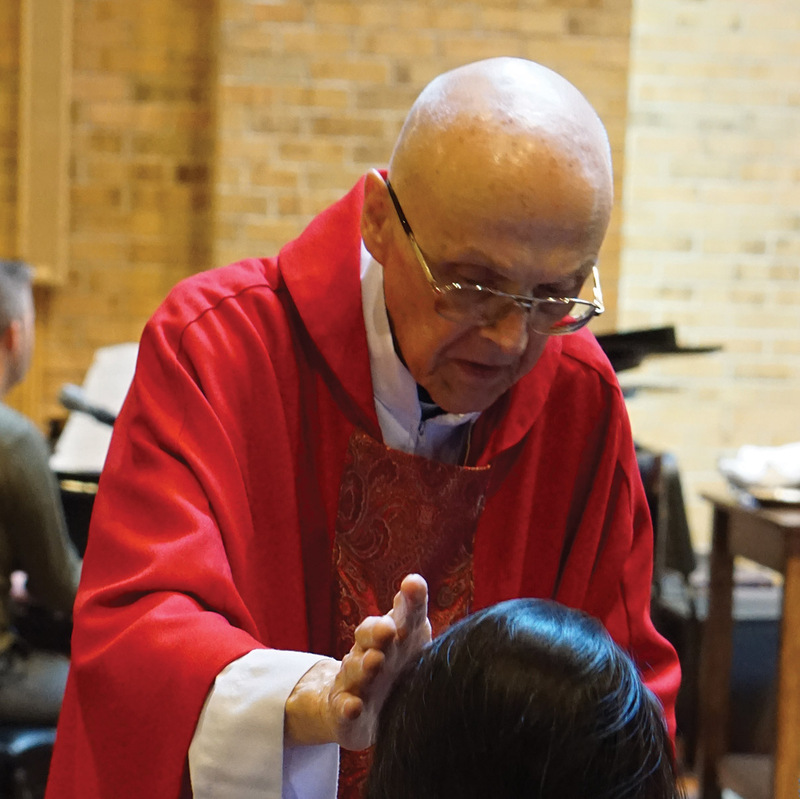 He presided at the Monday morning Mass, heard confessions on Sunday morning between the 8:00 and 10:00 AM Masses, substituted at Mass when Fr. Bart had to be away, and helped with anointing Masses, First Reconciliation, and any other time we needed the services of a priest. He also enjoyed talking to parishioners, sharing the wisdom he gained from decades of priestly service and his love for the Badgers, Brewers, and Packers. We will miss him. Fr. John’s funeral Mass will be at St. Thomas Aquinas on Tuesday, October 30, at 11:00 AM with Bishop Robert Morlino as the main celebrant and Fr. Richard Leffler of Ss. Andrew and Thomas Parish as homilist. Visitation will be at St. Thomas Aquinas on Monday, October 29, from 4:00 to 7:00 PM and Tuesday, October 30, from 10:00 AM until the start of the funeral. Fr. John’s obituary is available online at Schneider Funeral Directors.